FacilitiesThe hotel is the perfect choice for business travellers and holiday makers alike, offering a wide range of services and facilities for a comfortable stay. The hotel offers internet access and wireless internet access.RoomsThe hotel offers non-smoking rooms. All rooms feature air conditioning, a living room, a kitchen and a bathroom. Guests will also find a balcony in most rooms. The accommodation units each feature a sofa-bed. A safe is also available. Features include a fridge and a cooker. 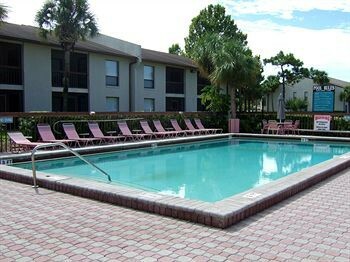 A telephone, a TV and a DVD player are provided as standard.Sports/EntertainmentThe hotel offers a children's pool. Guests can recline in the luxurious hot tub and be massaged by the hydro jets. Leisure options at the hotel also include tennis, golf, a gym, a sauna and a steam bath.